It’s hard to find a concept that video games love to explore more than space. And why shouldn’t they? Space is the great unknown, the last frontier, the realm of endless possibilities, where Yoda came from, and is just plain cool. Thanks to space, game developers have given us Asteroids, Galaga, Space Invaders, and so on and so on. Even when they ran out of ideas and started putting talking foxes and frogs into space battleships, they still somehow managed to make that concept awesome. 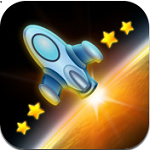 So if there is one thing you’d think a game developer would know how to make, it’s a spaceship game. But then came Star Wings. Star Wings was released by Arphix Games on April 21, 2011. That date will probably be known as “The Night the Stars Turned Dark” in the future. 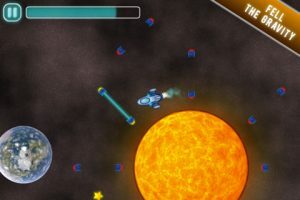 In Star Wings, you are in command of a spaceship and are tasked with navigating through obstacle courses while collecting little yellow stars. That all sounds fine at first. 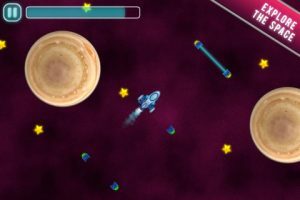 Who wouldn’t like flying around in a spaceship and collecting pretty stars? It actually sounds like fun! But not so fast, because Star Wings has a very different idea than the rest of humanity of what “fun” should be. Not only does that sentence have the distinction of sounding all kinds of silly, but it is also notable for being an outright lie thanks to the inclusion of the word “smoothly.” If Star Wing’s controls are smooth, then I am taking entirely too many stool softeners, and my doctor is being a big old worry wart about all the blood. Star Wing’s game mechanics are so counter-intuitive that on the off chance that they ever do work in the player’s favor, it is entirely accidental. Because your spaceship seems to have been built by the winner of a pre-school Lego building contest and a blind monkey in two hours, it will explode at the mere bush against another object. This only serves to increase how frustrating the controls are. The worst part is that the ghost of the fun that might have been had with Star Wings is still there, lurking around in the edges of the game. There is an interesting mechanic involving the gravity of planetoids affecting your ship, but the game refuses to let that work in its favor and it will end up frustrating you a lot more than the developers probably intended it to. Star Wings doesn’t do much to redeem itself with its presentation. From the second you turn it on you are greeted by a song that sounds like the background music to online college recruitment videos. This same music continues throughout the game unless you turn it off in the options menu. The graphics are adequate, and some of the planets look nice, but the ship itself is completely bland and devoid of any personality. Unless maybe you count its knack for committing suicide by slamming itself against asteroids and exploding as a personality, then you could probably say it is severely depressed. Maybe it got to playtest the game it would be stuck in for the rest of eternity. Star Wings has managed to sneak its way onto the App Store for an entire dollar. There are an infinite number of space related activities to waste your dollar on than Star Wings. For example, you might try tying your dollar to a rocket and launching it into the sun. Sure, obtaining a rocket that can break atmosphere and navigate its way to the sun would probably cost millions of additional dollars, but hey, at least you aren’t playing Star Wings.